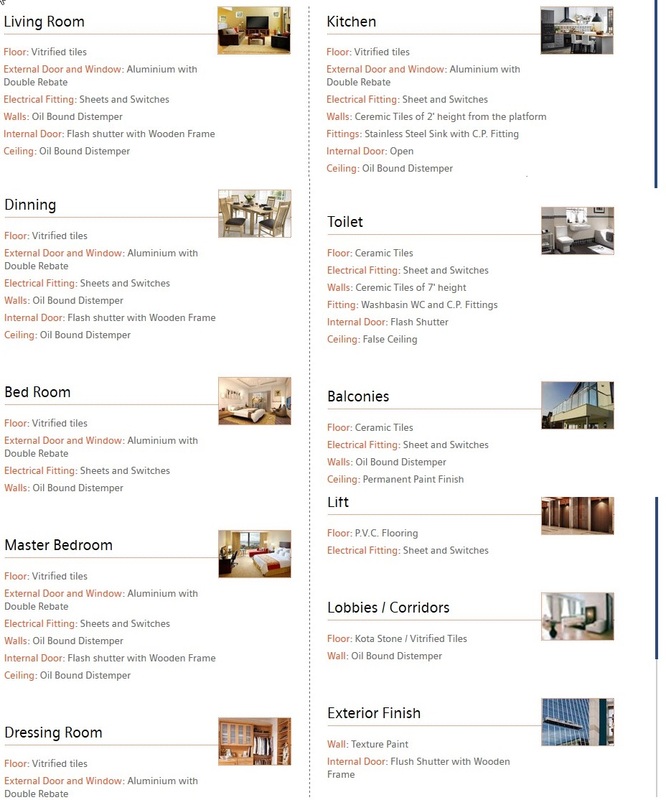 Supertech Eco Village 1 launched new tower named as "Supertech Regina Towers" is located at Greater Noida West (Noida Extension).It offers 3 BHK apartments ranging from 1375 sq. ft - 1545 sq.ft at Price 2650/ sq.ft .The Possession for Regina Towers projects is in 8 months. Price 2650/ sq.ft. If your flat possession is delayed, Builder will pay compensation Rs. 500 per Day. 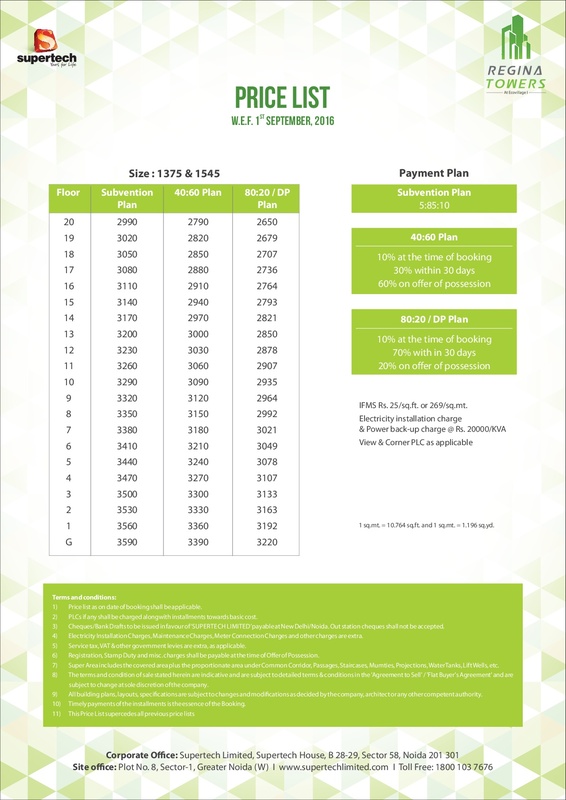 Supertech Eco Village I in the Sector1 Greater Noida West is an innovative and modern creation in the series of the Eco village. 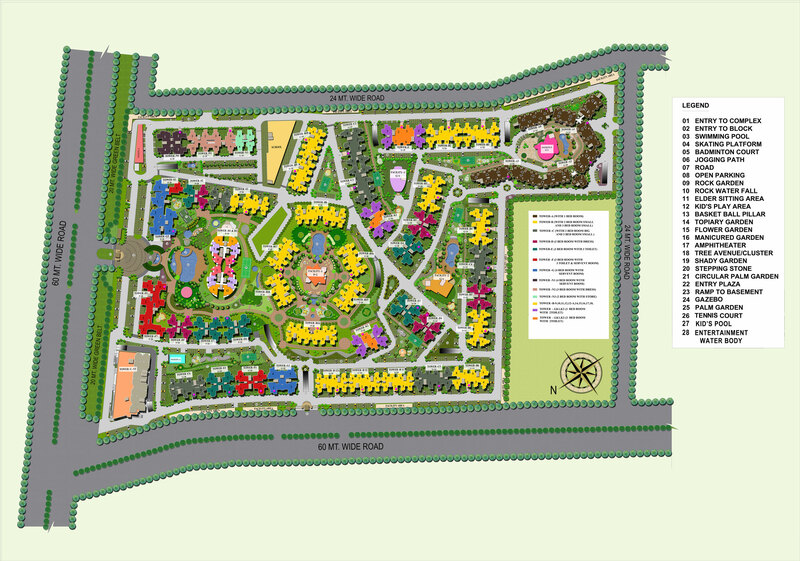 Supertech Eco Village 1 is the 50 acre project by Supertech ltd. in the green and 3 sided open Vastu friendly complex in Noida Extension, Greater Noida(West).It is beautifully planned out and designed according to the buyer’s needs. 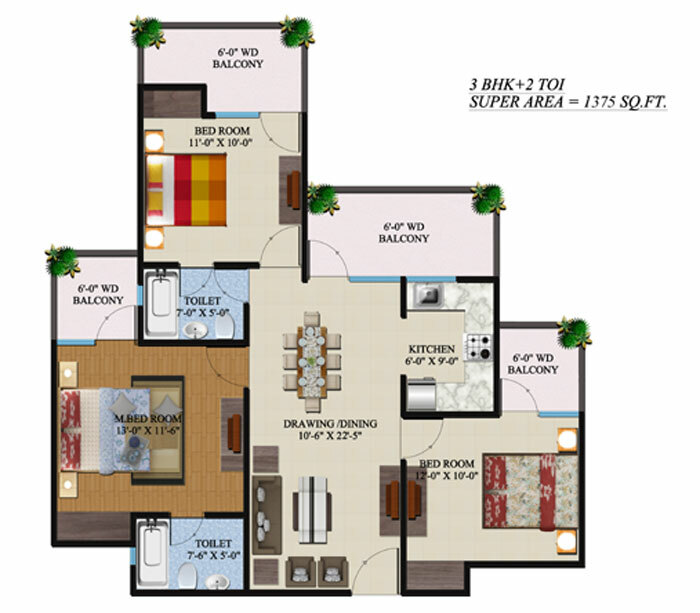 Supertech Eco Village1 provide you affordable 1/2/3/4 bhk apartments in the floor area of 598 Sq. Ft to 2364 Sq. Ft. with price starting from 22 lakh* so is truly a housing for all at best prime location. It is the most upcoming project in Noida Extension, which is taking place early in the metro city. They can also get all location advantages and can get the wide connectivity and easy accessibility to the metropolis and all the comforts & conveniences are easily provided here. Thereby, this township is specially designed scheme that presents a clean, safe and hustle bustle free area and pollution free environment.it is very much connected to Noida City Center metro station and the project is even in the close proximity of proposed Greater Noida metro corridor. The project is complete and is open for possession with loan approved from various nationalized and private banks with easy payment plans. The Eco Village has been built using eco-friendly construction materials. Also, to maintain a healthy and green environment, open green areas in the surroundings have been maintained. 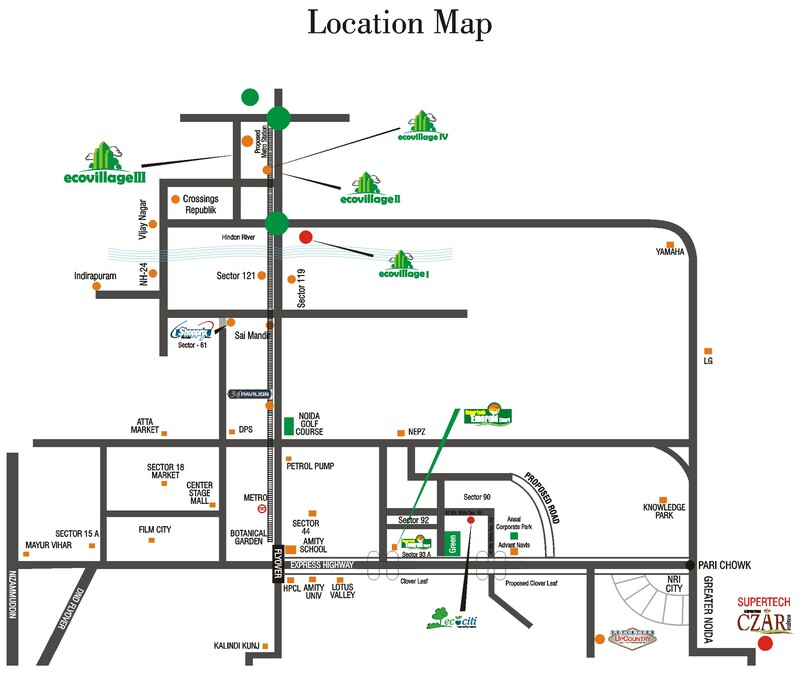 It is fully surrounded by the greenery landscapes, parks & gardens, shopping malls & retail stores. All these facilities have increased the beauty of this location, so everyone loves to live here with new hopes & dreams. It offers enough spaces for each apartment where nearly 2000 family can stay and can enjoy the true charm of life in the special ways. It is an idyllic community where folks can feel the great pleasure to reside. It invites you to join it and spend a royal life with family and cherished ones. 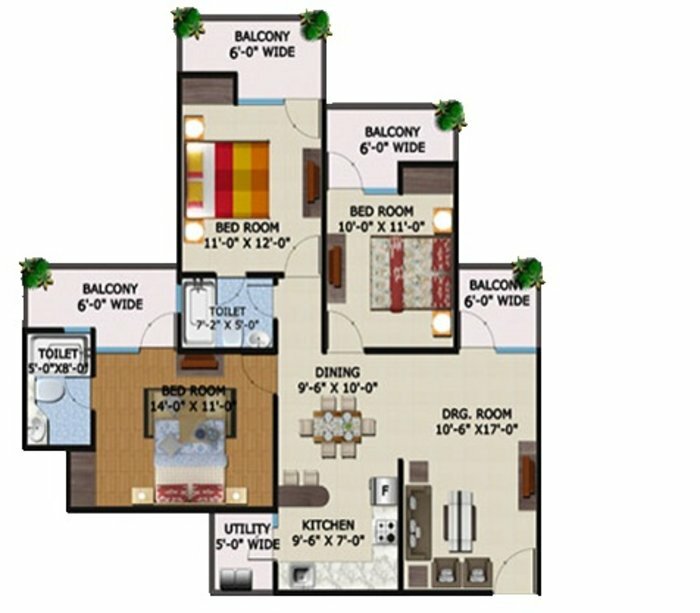 3 BHK + 3 Toilet - Saleable Area: 1545 Sq. Ft.